An older woman with a heart condition that had rendered her disabled, needed housing for herself and her cat; her only companion. After fleeing a relationship that had become abusive, he also confronted PTSD issues. Because he had a service dog, some landlords were reluctant to rent to him. Barely out of high school, she was pregnant and aging out of foster care. She had nohome, no access to prenatal care, and was worried about her baby. Suffering from a seizure disorder that left her unable to work and facing a lack of support from her family, she was the mother of a 2-month-old and had no place to go. Their stories were as unique as the circumstances that rendered them homeless. But for one night, they shared something in common: All found a home – at least temporarily – at M. Marie Miller Community House in Kent. Miller Community House, located at 1211 Anita Drive in Kent, is Portage County’s only emergency shelter for homeless individuals and families. Open 365 days a year on a 24/7 basis, it is a haven for those who might otherwise spend the night in their cars, outdoors, or locations such as post office lobbies or laundromats. “There is a difference between being homeless and being hopeless,” said Traci Larlham, director of housing services for Miller Community House. “We provide a home and try to offer a sense of hope for people who turn to us for help. We’re in the business of housing, not judgment." ”Miller House has no problem filling its 22 beds.The facility is usually at capacity. Last year, it served nearly 200 individuals, including almost 100 children. Residents can remain there for up to 30 days, with the understanding that their time is to be spent actively seeking permanent housing. Homelessness happens every day. It is usually unexpected. While stereotypes of the homeless may bring to mind images of disheveled men on park benches, residents of Miller Community House rarely fit that description. More often, they are single parents with children; during one week this summer, a newborn and two children under six months old were staying there. Last year, five infants spent their first night “at home” in cribs there. Others seeking shelter may find themselves without housing because of job loss, changes in their domestic status, illness, emotional trauma, or because family and friends no longer welcome their couch-surfing. Some are simply overwhelmed by life. “Many have discovered that they were only a paycheck or two away from being without a place to live, ”Larlham said. It isn’t unheard of for two-parent families to turn up at Miller House even though both adults are working full-time. The average rent for a two-bedroom apartment in Kent is about $800 per month (plus security deposit). That may be close to impossible to manage for a minimum-wage household. “These aren’t people who spend their nights under bridges,” said Larlham. “Most of them had homes and are finding themselves in need of shelter for a variety of reasons. In some cases, that can happen overnight. Nobody chooses to be homeless." ”Visitors to Miller Community House frequently observe that “it doesn’t look like a shelter. ”There are no dormitory-style rooms filled with cots, nor is there the antiseptic smell that often masks the presence of strangers living in close quarters. The one-story residence has five bedrooms, enabling families to remain together. Some rooms are set up for individuals on a shared basis. All have been decorated by civic groups, churches or individuals that have “adopted” them by providing bedding, window treatments, and paint. Because of wear and tear, refreshing the living quarters is an ongoing effort. 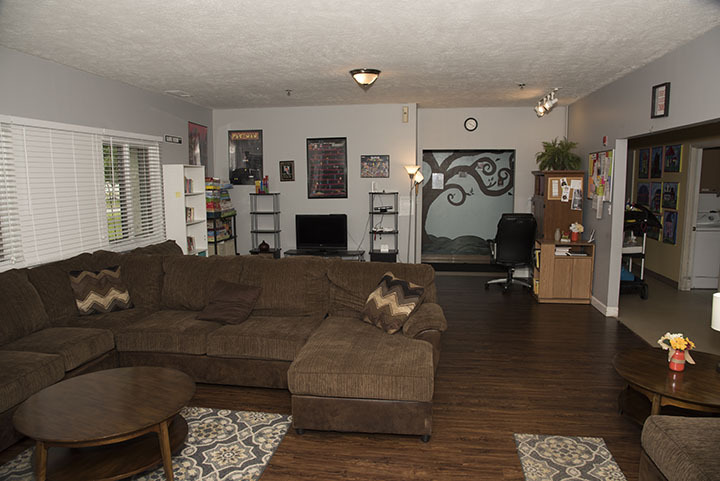 Residents share a large, comfortably furnished living room; recently renovated by Leadership Portage County, a kitchen, and a dining area where families can gather for meals. There is a children’s playroom and a separate activities area for teenagers. A large outdoor play set is a new addition, thanks to the generosity of the Christensen Foundation of Kent and Davey Tree Expert Company. Nearby is a row of donated bicycles that get frequent use. Exiting children can take a bike with them, which helps provide a sense of belonging in their new neighborhood. Housing specialists meet with new arrivals to determine their immediate needs. Those who are hungry are fed. Accommodations are made for those who are disabled or are dealing with physical or mental health challenges. Some who have been rendered homeless by an emergency may arrive with nothing more than what they are wearing. The aid of the County Clothing Center and other support agencies is enlisted. Each arrival is given a set of bedding and towels; which they may keep, as well as personal care items, and toiletries. Large plastic containers are available for their belongings. The facility is staffed around-the-clock. Staff members have learned “to expect the unexpected.” When a recent arrival was accompanied by a small dog, a Facebook appeal seeking dog food and other supplies met with an immediate response. When an infant “came home” to Miller House, a virtual baby shower – again, via Facebook – brought gifts of diapers and knitted baby clothes. 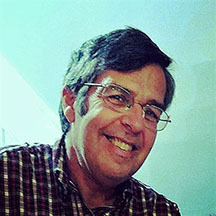 Long-term needs also are assessed and efforts are made to remedy them. The mother of the two-year-old received access to medical care that slowed her seizures as well as parenting help to build her confidence with her child. Housing was found for the resident with PTSD issues and his service animal. The pregnant teenager was assigned to a housing program and put in touch with agencies that provided prenatal care, a crib, and a car seat for her baby. A ground-floor apartment in a complex that welcomed animals, was found for the older disabled woman and her pet. Residents are admitted to Miller Community House knowing that they are being offered emergency shelter for a limited period. Housing specialists provide support and referrals to assess their needs and to seek a means of addressing them. Follow-up meetings help provide guidance on how to meet rent and security deposit fees. Progress toward finding permanent housing is monitored. “People know that they are here temporarily and are encouraged to spend their time looking for housing. Thirty days can go by quickly, ”Larlham said. The State of Ohio requires homeless shelters to achieve a success rate of 40 percent, meaning that 40 percent of the residents leave the facility bound for permanent housing. The success rate for Miller House residents is 72 percent. Miller Community House is named in honor of the late M. Marie Miller, a longtime advocate for the disadvantaged, who earned a reputation as a force for social justice while serving as director of Kent Social Services and other non-profit agencies in Portage County. Miller, who died in 2010, was proud but humbled to have the shelter named for her. She often reminded others than no one knows the circumstances that create need. The facility was established in 1985 by Kent Social Services to address emergency shelter needs for adults and children in Portage County. It moved to its present location in 2002 and opened debt-free, thanks to the support of community partners, individuals, churches, and civic groups. The shelter itself was a cooperative venture of Habitat for Humanity of Portage County and Hummel Construction Company, its general contractor. 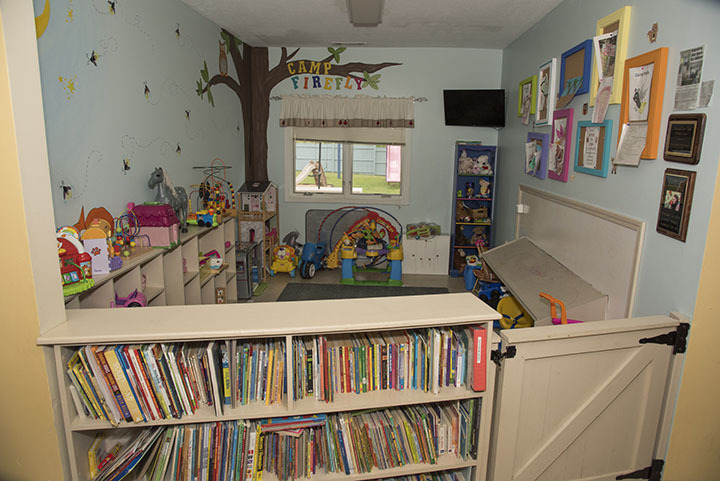 Miller Community House is among more than 70 programs overseen by Family & Community Services, Inc; the Ravenna-based non-profit agency that is among the largest social service providers in Northeastern Ohio. It relies onstate funding for much of its operating budget. Despite a growing need for shelters for those experiencing homelessness, state support has been declining for the past decade. More funding cuts are likely in the future, which adds to the challenge of providing services for Portage County’s homeless, according to Mark Frisone, Executive Director of Family & Community Services. “Our mission is to help those who need help. Miller Community House meets a need that isn’t going to go away,” he said. AND THE PEOPLE IT SERVES? to highlight its need for operating funding, with a goal of raising $40,000 over the next two years. • A $25 cash donation covers the cost of a single bed for the night. A $100 donation provideshousing for a family of four. A $1,000 donation provides housing and support for a familyfor 30 days. • Smaller donations are welcome, too. Gift cards for gasoline and groceries are always needed.A $10 gas card may mean the difference between making it to a job interview or missing it.A bagful of groceries can help a family with dinner. • Donations of basic pantry staples and coffee are appreciated. So are diapers and toiletries,towels, and single-bed sheets. • Consider “adopting” a room by providing paint, bedding, and furnishings. For other donation ideas, contact Miller Community House at 330-673-0034.